Walking 275kms in 14 days across at times rough terrain while sleeping in hostels surrounded by strangers and very little privacy might not be every grown-up’s idea of the perfect holiday, but for a group of teachers from Villa Maria Primary School at Hunters Hill it was the trip of a lifetime. 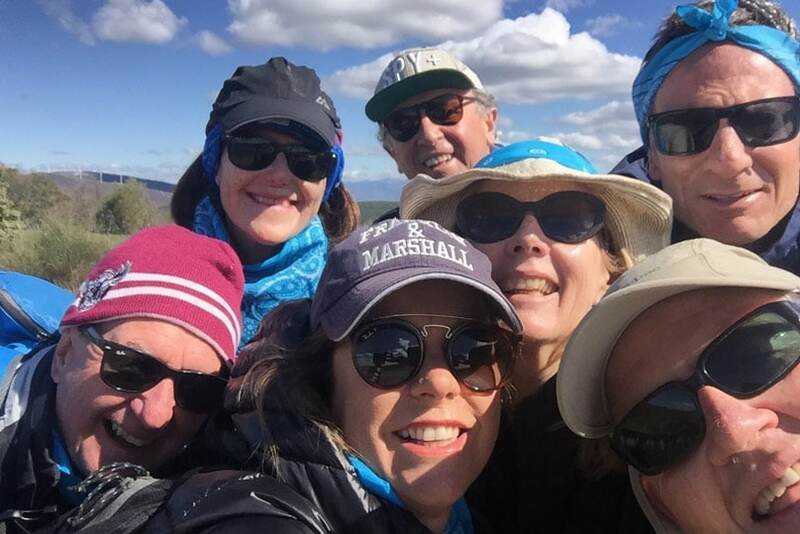 Traditionally, school holidays are an opportunity for teachers to unwind and relax, however this group of intrepid travellers put themselves through physical hardship, subjecting their bodies to the rigors of walking between 25 and 30km a day in northwest Spain to take on part of the Camino de Santiago or Way or St James in English. Describing the experience as more “stopping than going – you stop and strip away all that is unnecessary, so that you can hear the voice of God in your life”, they loved every moment. Historically pilgrims have made the long walk to Santiago de Compostela for religious reasons to visit the shrine of the apostle St James, who is buried within the cathedral in the beautiful Spanish city. Each participant on the trip had their own reasons for taking part – however one common thread holding them together was their faith. While always connected by technology and travel apps, the party relished the opportunity to spend some alone time, a rare thing in today’s busy life. Studies done by tour operators servicing the Camino have found the most common response from the 200,000 people who embark on the walk annually is they quite simply want to get away from everything. The pace of life is much slower, there’s no advertising to be seen, social media and the internet are not readily available and Ubers are unheard of – foot traffic is the only way to go. 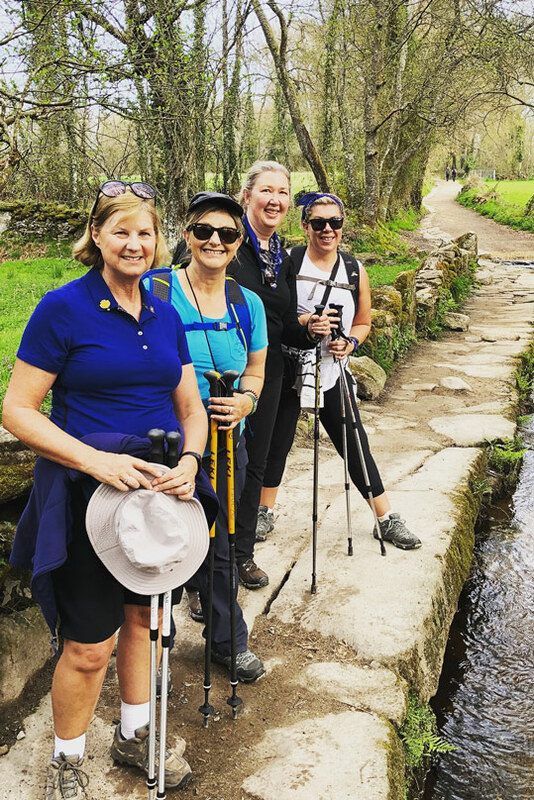 Villa Maria Family Educator Marea De Angelis said the trip provided both a physical challenge and spiritual journey as they walked and talked with other pilgrims along the country roads and tracks of rural Spain. 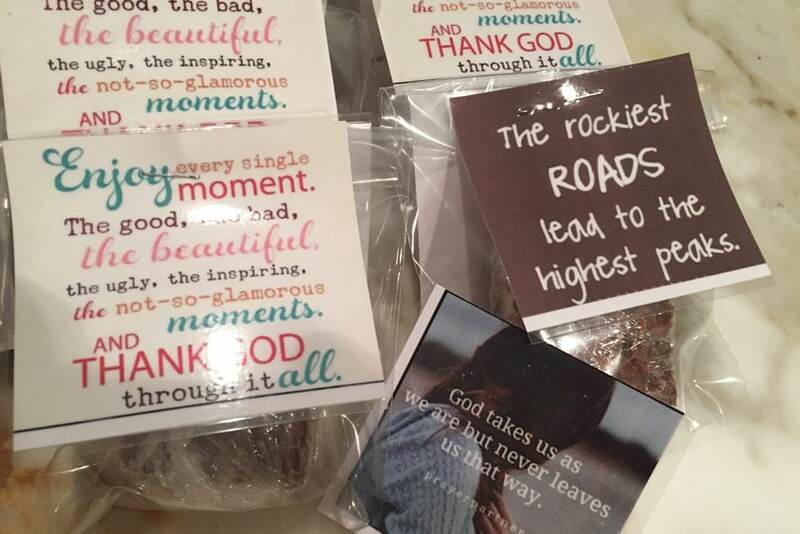 Parish families sent reflection triggers along with the pilgrims. She agreed that while there was some pain along the way, the spiritual gain made it all worthwhile. “Each day brought new experiences as well as aches and pains as we walked from Astorga to Santiago,” she said. “The warmth of the Spanish people, sights, food, wine and scenery that we experienced made this truly a remarkable journey. “To say that this experience was life-changing is an understatement. To walk in the footsteps of St James and the thousands of pilgrims who have travelled the same well-worn path was an experience to truly walk with God. 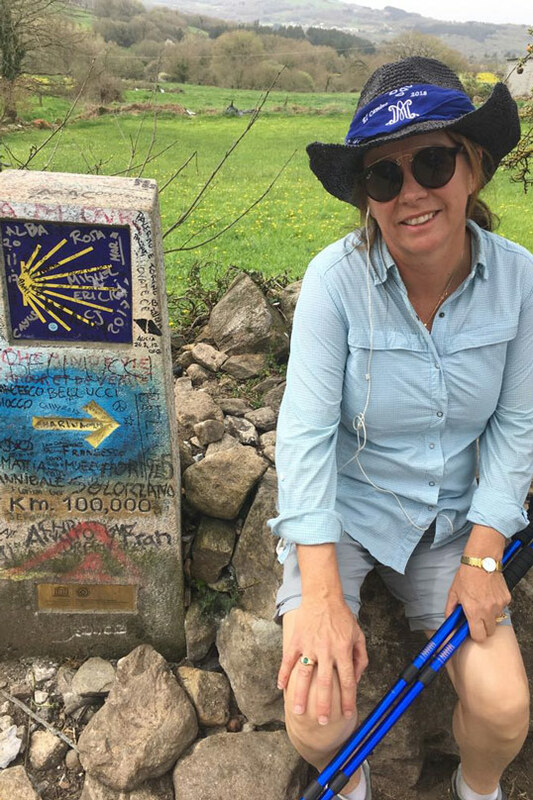 Having previously walked the Camino in 2017 with school principal Kevin Turner, Marea decided to repeat the experience and share it with fellow staff. She organised for families from the school community to provide special prayers for each member on the tour, as well as send small specially decorated stones which were left at the world-famous Iron Cross. 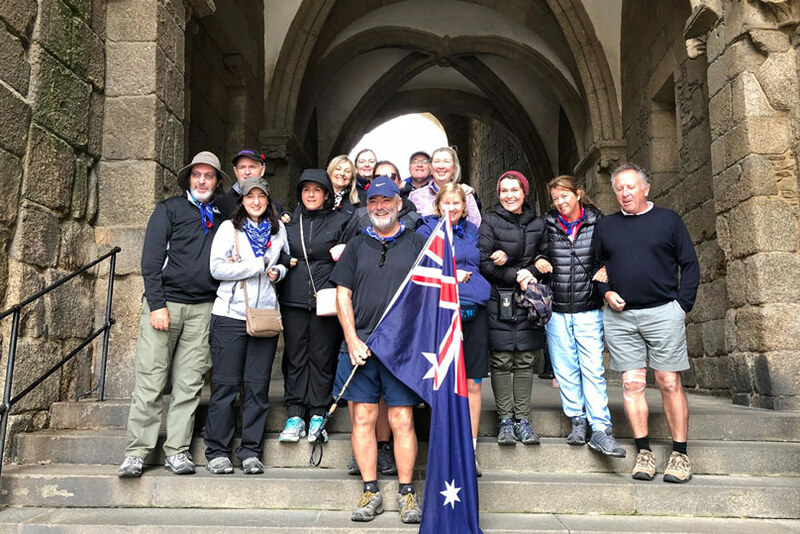 A special highlight of the trip was the final day of the trek walking into Santiago on ANZAC Day waving an Australian flag. Fellow traveller Christina Jenson agreed the trip was an opportunity to reflect on her life and although at times it was incredibly tough, she would do it again without hesitation. She said being given the opportunity to just stop and reassess where she was going in life was a “can’t buy” experience. “Spiritually, it cemented what I already believe, it gave me the opportunity to stop and reflect on where I am in my life and where Jesus fits into that,” he said. People have walked the Camino de Santiago for more than 1000 years and the time-honoured tradition is how most people experience the famous walk. The concept of the pilgrimage on foot was largely a necessity for poorer people in medieval times as few could afford to go by horseback. The total distance of the walk is approximately 800km, which on average takes about 4-6 weeks to complete, depending on your level of fitness and pace. Anyone interested in walking the Camino and would like advice or travel tips contact David De Angelis on 0418 449 390.